Around the world, various gurus have taught that Heaven awaits above, Hell beckons below. 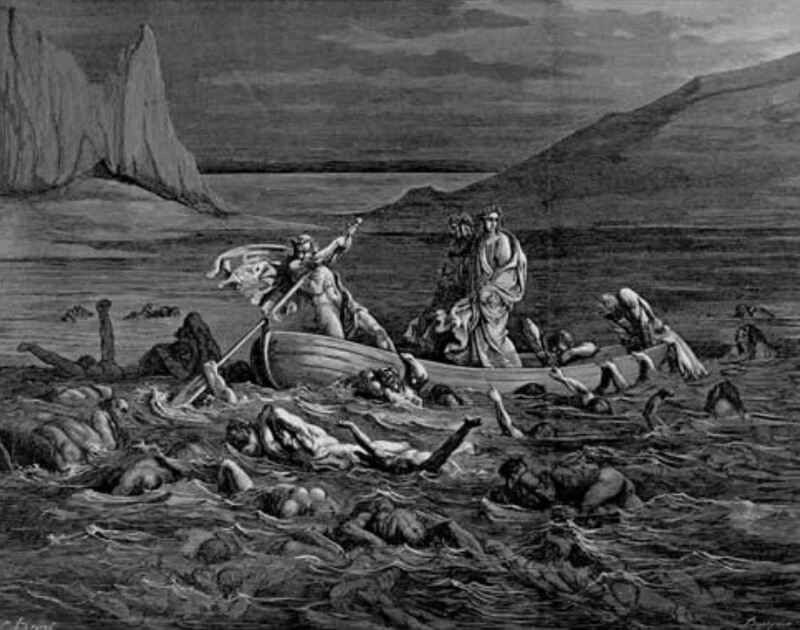 For the Greeks, all souls crossed the River Styx and then resided in the caverns ruled by Hades, the brother of Zeus. The idea of a hot underworld wasn’t ingrained in the mythology of the Greeks the way it later was with the Christians. However, Greek naturalists, observing volcanoes, did speculate that the inside of the Earth was ablaze. Anaxagoras guessed that the Earth’s interior held hot windy gas that simply needed occasional relief – a flatulent Earth, if you will. 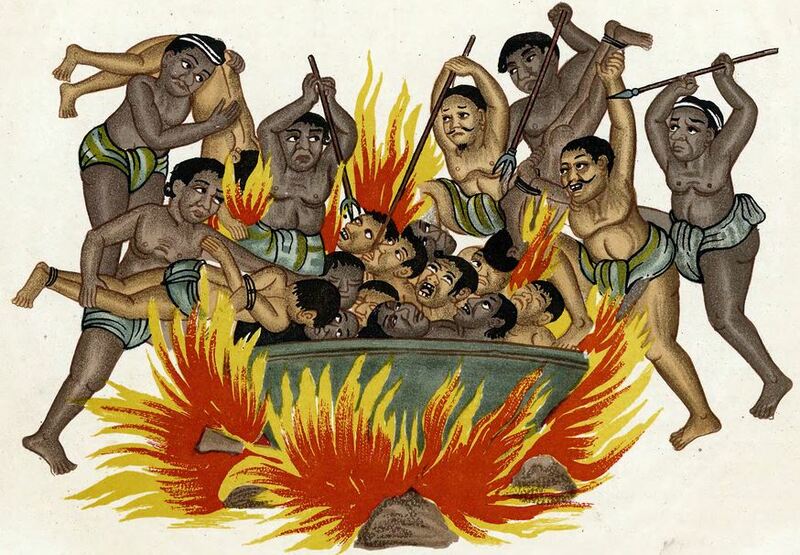 3,000 years ago, the Hindu Vedas claimed that errant souls enter a scorching underworld. They called the place Naraka, and the souls of the dead were roped and dragged into Hindu Hell by devilish creatures called Yamadutas. Depending on the sinfulness of the human, hell could be eternal, or not, and might range from the soul being cooked in burning oil to being torn apart by red-hot tongs while standing on melting copper. Hindu Hell was as nasty as the Christian variety and was bordered by a river of nasty slime, puke, and puss which you would have been forced to swim if your earthly sins included destroying either a village or a beehive. These fascinating faith traditions (probably still followed by some people) correctly acknowledge that the interior of our planet is hot and would be a dreadful place to spend eternity. The interior is inaccessible, at least to us still in our mortal clothing. But a grand scheme is afoot, hoping to drill a hole down to the mantle. Although past efforts have consumed billions of dollars in a half dozen major projects, no team has yet claimed to have actually punctured our planet’s skin. Drilling deeply into the Earth becomes progressively harder – the interior of the planet becomes warmer and warmer as one goes deeper and deeper. At some point, drill bits and pipe stems melt. This heat is partly residual energy from Earth’s fiery formation and it is partly the result of radioactive decay of potassium, argon, uranium, and other hot elements trapped inside our planet. But all that heat hasn’t stopped a few ambitious explorers from digging down. The deepest accessible holes in the ground are South African gold mines near Boksburg and Carleton. These extend nearly 3,900 metres below the surface. The lift that carries up workers from the pit takes about an hour to bring the men to surface. The temperature of the rocks at that depth is a scorching 60° Celsius (140° F) , the air is 55°, but air-conditioned to 30°C by pumping an ice slurry into the zones being burrowed. Humidity, however, hovers close to 100 percent. If miners continue following the descending seams of gold, unmanageable temperatures will be reached. At this depth in the mine, the temperature rises one degree for every 50 metres. 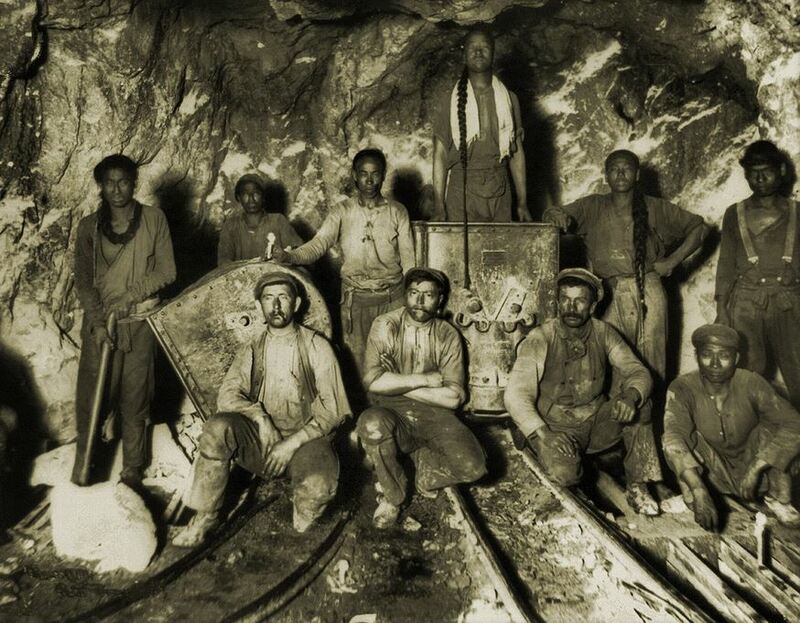 Digging a bit deeper will result in air temperatures that pass the boiling point, at which point the miners will arrive in their own special hell. The effort to drill to the mantle requires impressive engineering skills to withstand the enormous heat and pressure at even relatively shallow depths. Oil wells have been successfully completed to depths of 10,000 metres. But such wells are drilled into softer sedimentary rocks – drilling to the mantle will require boring through either tough granite or tougher basalt. Oil explorers drill easier rocks, but not safer strata. Hydrocarbons in their deep wells make their work more dangerous. The deepest oil well ever spudded was drilled by a South Korean rig called the Deepwater Horizon. In September 2009, the rig set a world record for the deepest oil well in history at a vertical depth of 10,683 metres (35,050 ft). 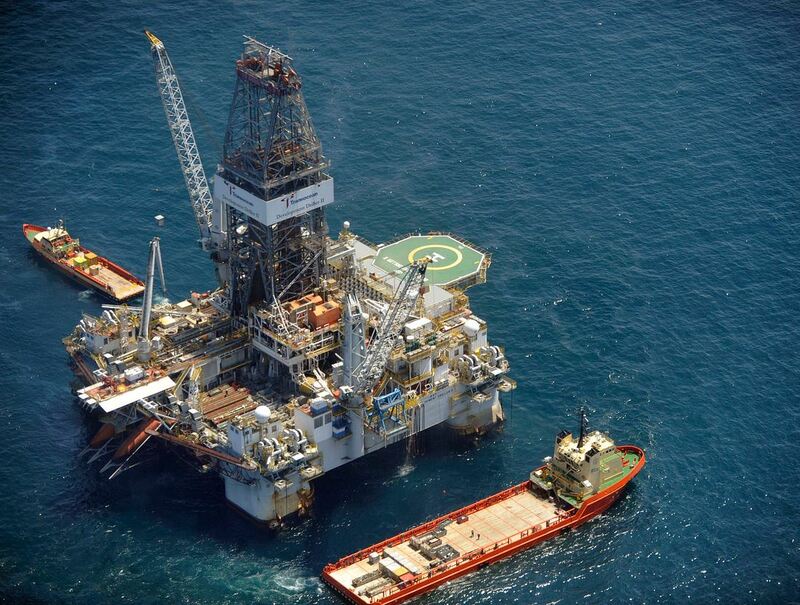 A few months later, drilling a different well, the Deepwater Horizon was back in the news. An over-pressured pocket of oil and gas flashed up the drilling pipe to the surface. The blowout ignited and killed 11 workers. The rig sank. At the seabed, the well gushed for three months – causing the largest oil spill ever in U.S. waters. Don’t expect such a disaster with the experimental wells that are attempting to drill to the mantle. These wells are being drilled into rock that lack dangerous amounts of hydrocarbons. They are purposefully being sunk into crust which is non-hydrocarbon-bearing. The most promising of these efforts will be in areas where the crust is thinnest – and that usually means oceanic basalt. Tomorrow, I will continue this story with a look at four efforts to pierce the mantle – Russian, American, European, and Japanese. Then, on my third posting in this series, I’ll look at how the Soviets plugged a hole that some believe tapped right into Hell itself. This entry was posted in Culture, Engineering, Exploration, Geology, History, Oceans, Religion and tagged Deepwater Horizon, gold mines, Hell, mantle, Naraka, River Styx. Bookmark the permalink. Palaeogeologists like Stephen Moszis are suitably amused that the Hadean is turning out to be cold and wet (think of all those zircons and the water-exposed crust they crystallised out of); much more like the Greek Hades than the Christian Hell.